Once you have added the amount you wish to purchase to your cart, the next step is to navigate to the Cart page and check out for your purchase. You will need to create an account on the Cart page if you are not already signed in. Do not worry, we only require an email and password to create an account. It takes about 5 seconds, you never even leave the Cart page! 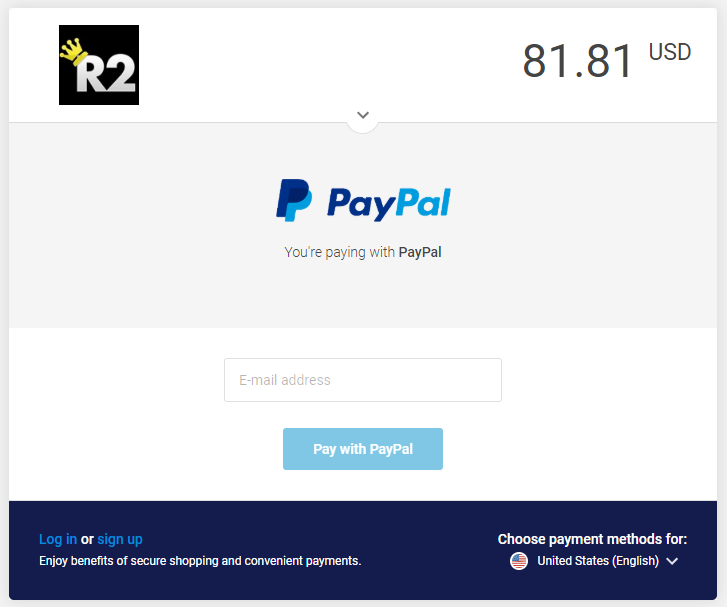 Once you are signed into your R2Pleasent account, the next step is to choose your payment method. Choose PayPal from the list, assuming you wish to pay with PayPal, then continue to fill out your in-game name, phone number, and agree to the terms of service on our website. After that, click the Continue to Checkout button and you will be forwarded to the payment gateway. In this case PayPal’s payment gateway. Now just fill in your PayPal email, and Pay with Paypal. Still with me? Okay, I Paid.. Now What? Our website will forward you into an automated chat once the payment is completed. It will automatically post your order ID to the Live Chat as well. If for some reason this does not happen, then make sure to contact us on Live Chat yourself using our website R2Pleasent.com. The Live Chat is always online in the lower left hand side of the website. This is where you will arrange delivery with our agents. The agents will check your order and give you a trading location. They’ll ask for your in-game name and amount of gold to confirm the order. Please make sure to join the proper world and location they give you in-game. Also make sure to ignore any in-game messages or spam. We never use the in-game messaging system, so you can be sure if anyone is messaging you in-game claiming to be us, it’s a scam. You can use PayPal without even signing up for an account. PayPal’s best features lie in being able to save your card and bank information for future purchases. In that case, you can just sign into your Paypal account and not enter any financial information. However, in some cases people prefer to maintain their privacy and not sign up for a Paypal account. No problem. Paypal will let you pay as a guest at the checkout screen. Simply input any email you wish as your payment email, and they will forward you to enter your card details without signing up or signing in. PayPal has truly made the checkout process a breeze. Does PayPal work for Old School and Runescape 3? Paypal checkout works for all products on our website. Don’t you worry, just add to your cart and proceed to checkout. Runescape 3, Old School Runescape, CSGO and TF2 Items. All of these are available on our site for purchase with PayPal. Can I sell Gold via Paypal too? Great news. 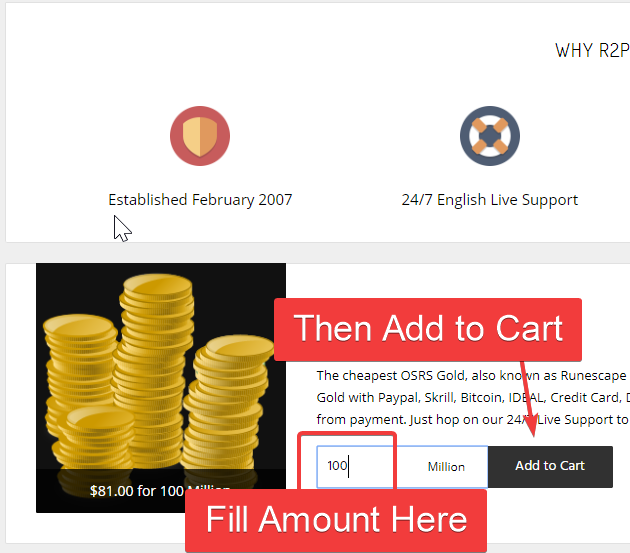 We support Paypal payments for selling your gold to us as well. Once again, this feature is available on both RS3 and OSRS. Just use the Sell Pages for the game you wish to sell on, and you will be forwarded to a Live Chat with our agents. They will make an offer to you in USD per million, you can choose to accept and proceed, negotiate, or come back later for a better offer. Payments via Paypal are completely instant once you have traded the gold to our agent. Your safety is our top priority at R2Pleasent.com. We value your privacy as well. R2Pleasent does not resell your information to third parties. We also take extreme caution to keep our records and your purchases completely private. PayPal makes transactions even safer, by ensuring you only ever enter your financial information on PayPal, never on our website. Furthermore, we never need your password for any game or payment platform. Our company has been in business for nearly 12 years, since February 2007. Since that time we have served multiple generations of Runescape players, and we pride ourselves in our experience and professionalism. 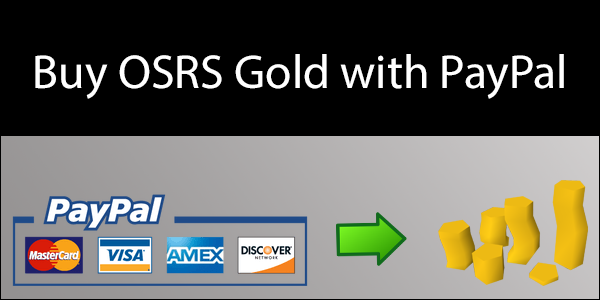 You can be absolutely certain that when you make a purchase on R2Pleasent.com, you are buying from the longest running RS Gold Shop in existence. For more information, please check out our Trustpilot page here.